4: ZYXprinting da Vinci Jr.
3D printing has exploded, and with the surge of new businesses trying their hands at the industry, the costs for 3D printers keep falling. That is excellent news for people who wish to print three-dimensional objects in your home, or who want an inexpensive method of prototyping. In this review, I will have a look at a few of the best affordable 3D printers available in the marketplace. I have created this guide to assist first-timers and anyone working within a budget to find the best cheap 3D printer. Hopefully, one that will enable them to explore the new technology without breaking the bank. Now, remember that 3D printing is still in its infancy and the less you spend on a 3D printer, the more unreliable and inaccurate of a printer you'll get. That does not mean that if you are on a budget, you're unable to jump right into the world of 3D printing. You can find quite a few entirely enclosed 3D printers under $500 that will make it possible for you to begin 3D printing and produce quality prints, like the wine rack I printed below. Below, we will explore the best cheap 3D printers on the market, in addition to their various advantages and disadvantages, to help make sure that you're ready to have an educated opinion. In the table below you will find the four 3D printers we reviewed. The 4 printers you see below are the only ones we would consider buying in this price range. What to expect from a 3D printer costing $500 or less? So let's talk about the price. A couple of years back, an reasonably spec'd mid-range 3D printer would set you back well over $2 000. However, with the massive increase in 3D printer choices, the costs have come down, and there are now some high-quality 3D printers under $500. Or, in other words, if you're looking to find the ideal balance between 3D printer price and performance, then the choices in this price range should be at the top of your list. No, these aren't the best 3D printers available, but their cost is appealing for what they offer. If you are looking for something with a bit more muscle, then we recommend you read our round up of the best 3D printers under $1000. The four listed below are, in my opinion, four of the best 3D printers available under $500, but before we jump into the review, lets take a look at our scoring catergories. No. of extruders: Does it support dual extrusion? Customer Support: Does the manufacturer have a good reputation for support? For each printer you will see an overall score out of 10. Click on "view all scoring categories" in the drop-down box to see how each pen fared for the categories listed above. And now without further ado, let’s take a look at Pen&Plastic’s round-up of best 3D printers currently on the market. Another terrific option you have if you're searching for an exceptional, affordable 3D printer under $500 is the ROBO 3D R1+. This printer used to sell for a lot more, but Robo has recently reduced the price for 800 to $499. It almost feels unfair that this printer is now competing with in the sub $500 class. There is a lot to like about the ROBO 3D R1 Plus. For starters, it's a reasonably large print area compared to the other printers in the sub $500 price range. And, it includes a heated print bed and an auto-leveling feature. Furthermore, ROBO 3D is based on America and, as such, provides faster and better support to its clients. It has a large print volume for the cost (bigger, in reality, that a most $1,000-$2,000 printers), a heated print bed so that you can print in ABS, and an auto-leveling feature. The Robo 3D R1 also supports HIPS and Nylon filament, which sets it apart from the other printers in this review. The printer has a 100 micron resolution, which is standard in this category. One downside is it has only one extruder head, so bear that in mind if you need overhangs with supporting filament. The ROBO 3D R1 Plus does not have any extraordinary features, and it does not stand out as being exceptional in any one area, except printing size. What it does do well is its good in nearly every area that matters for a 3D printer, and it's highly versatile. The ROBO 3D R1 Plus is our no.1 3D printer under $500 and, as such, should be strongly considered by anyone shopping in this price range. FlashForge hit it big if MakerBot switched into a closed-source version and ceased making their first Replicator. FlashForge's biggest success came in their MakerBot replica, the Creator. Since FlashForge introduced their Creator as a means to fill the emptiness the Replicator left behind, they've produced a handful of other printers also. One of the latest printers is their budget-friendly Finder. While the FlashForge Finder does not have the largest build platform, nor does it come with a heated print mattress, but it markets itself as a very easy-to-use and dependable option that will make 3D printing a breeze for first-timers. It has a cool touch screen and LCD for extra simplicity. Flashforge's focus on ease-of-use means that this fused filament fabrication (FFF) 3D printer only accepts 1.75 mm PLA plastic filament. This simplifies things, as you don't need a heated print bed to work with more difficult (and toxic) materials like ABS — but of course the downside is you are now limited to only one type of printing material. The Flashforge Finder is is very easy to use and has WiFi functionality built in, it is a 3D printer that is suitable for kids and beginners. Although, for the purchase price of about $400, you're sacrificing a bit for the extreme ease of use , as there are different choices available which offer a larger build volume and a heated printing bed. Finally, Flashforge is one of the strongest brands in the printing industry, and if you're looking for something that's simple to use and you would like to purchase something by a proven brand which you can depend on, then the Finder is a worthy choice. While I would like to see that the Finder have a larger print area and a heated print mattress, but it's still easily one of the best starter 3D printers. The Flashforge Finder carves out its place as being the second best 3D printer in this price range thanks to how easy it is to operate and how accurately it prints. Something for the DIYers, here is your HICTOP Prusa i3. Where the Reprap Guru Prusa i3 includes a fairly large build volume (8″ x 8″ x 7″), the HICTOP Prusa i3 trumps it with an 11″ x 8″ x 7″ build platform. To put that into perspective, that is quite a bit larger than the construct volumes supplied by the Zortrax M200 and the MakerGear M2, each of which cost well over $1,000, which is a major selling point for the HICTOP Prusa i3. However, how this HICTOP printer provides you such a big build volume for under $400 is pretty astonishing. Finally, some advice to the aspiring 3d artist reading this review. If you genuinely wish to know about 3D printing and understand the technology behind it, you should begin with a DIY kit. And, of the DIY kits available for under $400, the HICTOP Prusa i3 is the best balance between price and performance. Easily one of the better DIY kits now on the marketplace, the HICTOP Prusa i3 is the best entry-level 3D printer. It costs under $400, it's a huge build volume, and it includes a heated bed so that you can print in PLA or ABS filament. If you are looking for a cheap 3d printer, look no further. And, while it's brother (the HICTOP Desktop) has a tiny bit larger build volume and can print with a few extra types of filament, this unit remains a solid choice for aspiring 3D artists who want to tinker. On the lookout for an inexpensive 3D printer which you can give to your children to introduce them to the world of 3D printing? Well, if that's true, then the ZYXprinting da Vinci Jr. might be your best alternative. Coming in at just under $350, the da Vinci Jr. is among the most inexpensive 3D printers on the market. And, using a 6″ cubed assemble space, it will let you build bigger objects similar in size or larger than more expensive printers, such as the Printrbot Simple Metal, or the UP! Mini. 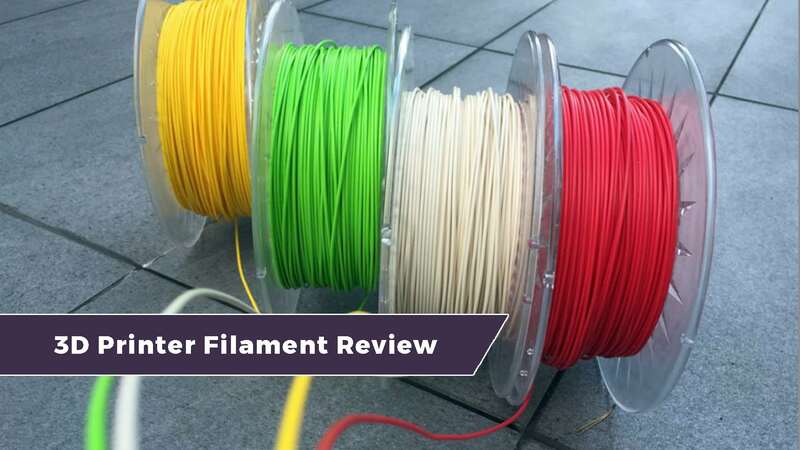 "Decent print volume Child Friendly - Closed PLA printer"
Additionally, it can hit resolutions as large as 100 microns, which is relatively standard among most consumer 3D printers nowadays. Take note, however, that while the da Vinci Jr. includes a very reasonable price tag, you should expect the same quality as the price you pay. 3D printing is far from being a technology that is perfected, and the less you spend, the more likely you should encounter errors. This sadly was the case with some of our test prints. So, provided that you are not expecting the world from the da Vinci Jr. and you're prepared to accept that there could be a few headaches along the way, then this is a feasible option. In the end, the da Vinci Jr. provides an affordable entry-level choice to teach your children how to use a 3D printer. Well there you have it, our four favorite 3D printers in the sub $500 price range. We highly recommend the Robo 3D R1 if you are experienced, and the Flashforge Finder if you are new to 3D printing. If you have any thoughts or suggestions, leave us a comment below and remember to share this post with your friends by clicking one of the handy social media sharing buttons, or simply head back to our 3D printing resource page for more printer reviews.